Yesterday marked the one year anniversary of what is undoubtedly the most seismic result in the 85 year history of the FIFA World Cup. The result I'm referring to of course is Germany's earth-shattering 7-1 thrashing of Brazil in the 2014 World Cup semi-final, a result that will continue to jump out decades from now when football fans like myself pore over the scores from tournaments of the past. 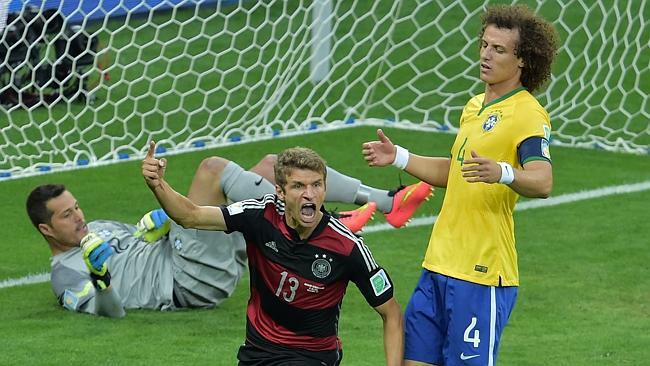 It was a watershed moment for both German and Brazilian football, which felt dreamlike on the day. Brazil's heaviest defeat in a competitive fixture since their 6-0 loss to Uruguay in 1920 and undoubtedly the most humiliating elimination of a host side in the history of the World Cup. For Germany it was the culmination of a little over a decade's worth of improving the standard of their youth development and the integration of these players into their full side. The likes of Manuel Neuer, Jerome Boateng, Sami Khedira, Mats Hummels and Mesut Ozil had been on Germany's 2009 UEFA European U21 Championship winning squad and last summer's tournament in Brazil was when this great side reached their peak following impressive performances at senior level in the 2010 World Cup and 2012 European Championship. For Brazil the result would prompt a lot of soul searching about the current state of football in a country that, to the outside world, seems to take it's greatness for granted. Almost spoiled by the staggering success of five World Cup wins, the Brazilian Football Confederation seems to have taken their eye off the fact that besides Neymar they have few players that can match the quality of their stars of old. Even heading into the Semi-Final last summer with Germany there were warning signs that Brazil might be in trouble, as they weren't altogether impressive in advancing with seven points from a group containing Croatia, Mexico and a very sub par Cameroon side. They were in fact very fortunate to beat Croatia in the opener, due in no small part to a very dodgy penalty kick being awarded in their favour. In the round of 16, their luck held out again as they were outplayed for long stretches by a vibrant Chile side, who almost won the match at the death before falling to the hosts on penalty kicks. Colombia, the darlings of the tournament with their bright new star James Rodriguez, were seen off by a score of 2-1 in the Quarter-Finals in a bruising encounter which left Brazil without Neymar, who suffered a fractured vertebra, and Thiago Silva, who was suspended. Germany on the other hand had gotten out of a difficult looking group containing Portugal, Ghana and the United States with seven points themselves before winning tight contests over Algeria and France in the knockout stages. If neutrals were giving Germany a slight advantage heading into the Semi-Final, they still couldn't have expected what was to come. 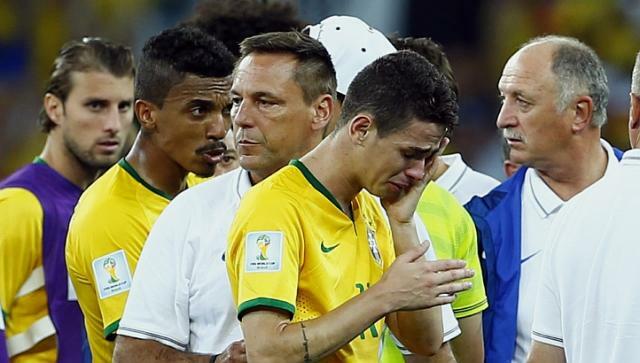 The night of July 8, 2015 in Belo Horizonte had an odd feel to it from the start. 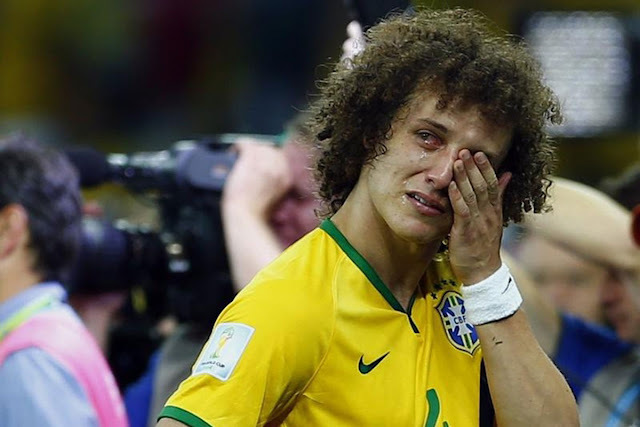 With Julio Cesar and David Luiz holding the shirt of the injured Neymar during the national anthems as if the player had died, and with other Brazilian players seemingly on the verge of tears, the emotional state of the side should have been more of a concern to manager Luis Felipe Scolari. After an even opening ten minutes, Thomas Muller shook off the hapless Luiz on a corner to open the scoring for Germany on 11 minutes and after a frantic attempt by Brazil to get back into the match the wheels dramatically fell off. In the 23rd minute Miroslav Klose doubled Germany's lead, his 16th career World Cup goal which broke Ronaldo's mark, and then a further six minutes of madness saw Toni Kroos pot two goals and Sami Khedira help himself to one. 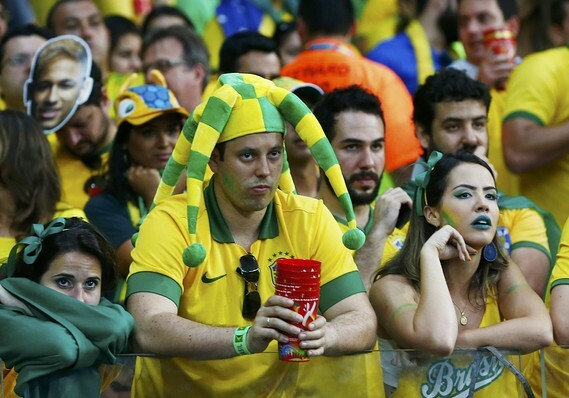 By the 29th minute Brazil were down 5-0 and had already, for all intents and purposes, been humiliated. To compound their suffering, second half substitute Andre Schurrle added goals in the 69th and 79th minute, before Oscar scored the most meaningless consolation goal in the history of international football in the 90th minute. To the Germans credit they had stopped celebrating their goals by the time of going four up, and could have probably scored more in the second half. Brazil's play was so mistake ridden it became a mystery how they had managed to get to this stage at all. Germany would go on to defeat Argentina 1-0 in extra-time in the final to cap their fourth World Cup win, while Brazil would lose 3-0 to the Netherlands in the third place play-off. Both of those results now seem immaterial in a sense after the Semi-Final that preceded it. The match wasn't a freak, but a perfect double helix-like coming together of a German side on the rise and a Brazilian side in decline.